New for Spring 2017 are the Klim Outrider Pants. Klim is known for their bombproof, ride-around-the-world gear and they are venturing into a more casual appearing line with the new Outrider. 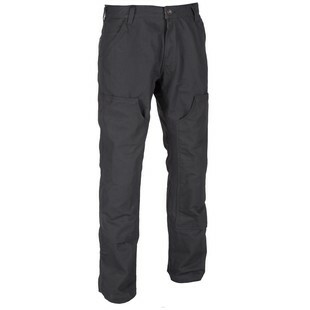 These pants feature an abrasion resistant high tenacity Cordura canvas construction coupled with impact resistant D3O CE-Level 1 protection at hip and knee. With the new casual-looking Outrider you can have safety and comfort on the bike without looking like you just stepped off Apollo 11. The Outrider is perfect for the enthusiast that wants that work wear styling without sacrificing protection on the road.